A splash of vinegar and a dash of seasoning will make anything taste great. 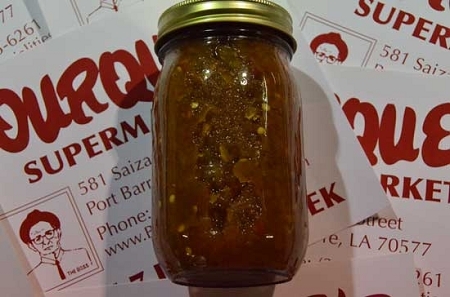 Add enough of both to a mason jar, throw in a heaping amount of diced jalapenos and onions, and you'll end up with this homemade Cajun specialty. Enjoy it on its on, or add a bit of chow chow to a stew or soup for a truly delicious meal!